Just when you’ve nailed your social media marketing strategy, it never fails… the algorithm changes. Doesn’t it feel like it happens every single time?! It can be so frustrating. I personally have almost given up on social media just because the updates were SO frequent and drastic. But then reality smacks you in the face and you remember how useful of a tool social media is and how it gives you a direct line to your ideal clients or customers. Alas, we’re back to square one. And of course, the rules have recently changed again. So with a new year, it’s time to create a new strategy. Below, I’ve included some loose guidelines by platform. I want to emphasize the word loose, because these are by no means set in stone. I REPEAT: The above guidelines should be viewed merely as suggestions. Ultimately, when determining your frequency, you should go with what works for you. 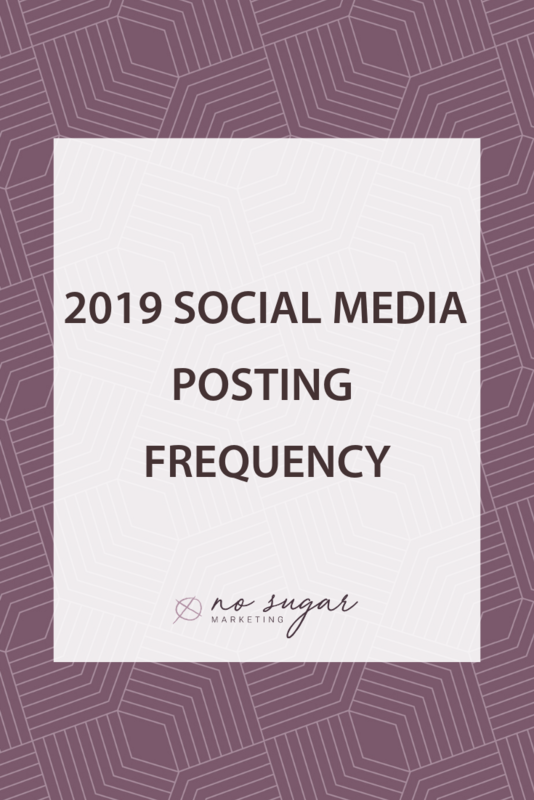 For example, if posting to your Facebook feed two times per days is overwhelming you, but you feel like you MUST do it, you’re going to run out of steam, your content will suffer, and your engagement will plummet. If you are a content guru and absolutely love putting out tons of content, an important consideration for you is going to be your timing. If you post your updates too close together, the algorithm will actually decrease the reach on your second post. A good guiding point is to allow for a gap of 7-9 hours between each post. Now, I want you to take the above guidelines and forget them. Pause here and take a moment to consider what feels good for you. What posting frequency lights you up and allows you to comfortably share your message in a well thought out way? Here’s the thing about the crazy Facebook and Instagram algorithms… they actually aren’t out to get you. They’re designed to help you! The algorithm isn’t reducing your reach, it’s allowing your post to be found by more people. When you produce content that people crave, the algorithm distributes it to more people. When you get people talking and sharing, your message goes out to EVEN MORE people. Instead of putting your focus on the frequency you’re posting on social media, it’s time to start focusing on the content you’re creating. To really master this whole social media thing, you need to know your audience. When you know exactly who you’re speaking to, creating content that they’ll resonate with becomes that much less complex. Stop the guessing game and start giving them what they want. If you know who your audience is, but you’re unsure what type of content they want to see from you, I’ve got a solution for you too… ASK! That’s right, I know it sounds crazy, but you can actually ask your audience. You might be surprised at just how much info you get from them. Use common questions or themes to start building out your content plan. One thing to remember about social media, regardless of which social network you’re using, is that the social network wants you to stay on the platform. To do that, you need to be engaged with the platform. That’s why social networks are always changing and adding new features. Let’s take Facebook as an example. Have you noticed how prevalent stories have become? They’re now even an option for business pages. When you open the Facebook app, stories are front and center. Wait, that’s exactly what they are doing. 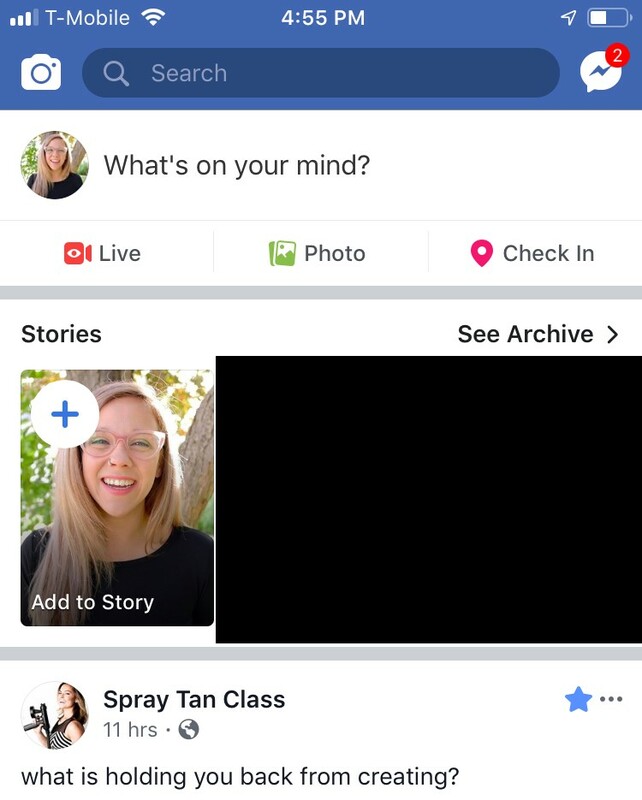 On Facebook specifically, stories and live video are the features that the network is pushing. If you want to grow your following on Facebook or expand your reach, jump on the bandwagon and start creating stories and video ASAP! On Instagram, you have stories, IG TV, and your feed. Start using all three! The users who do so are rewarded by the algorithm. If you’re only posting to your feed, you’re missing out on a huge opportunity. No matter what social network you’re on, you need to be engaging with your audience. In fact, I’d say spend about 70% of your time on social media actually engaging with your followers. Social networks are just that… social. So that means you gotta put in the work. You need to create conversations, respond to messages, comment on other posts, etc. You can no longer stand idly by and hope that people will just LOVE your content so much that they’ll follow you. It’s just not the case anymore. People want to be heard, they want to feel included, and they want to connect. Social media provides a gateway for all of this, but it doesn’t do the work for you. Now that you know the frequency guidelines for 2019, start creating your plan! If you want more info on how to do that, join my 5-day content planning challenge now.